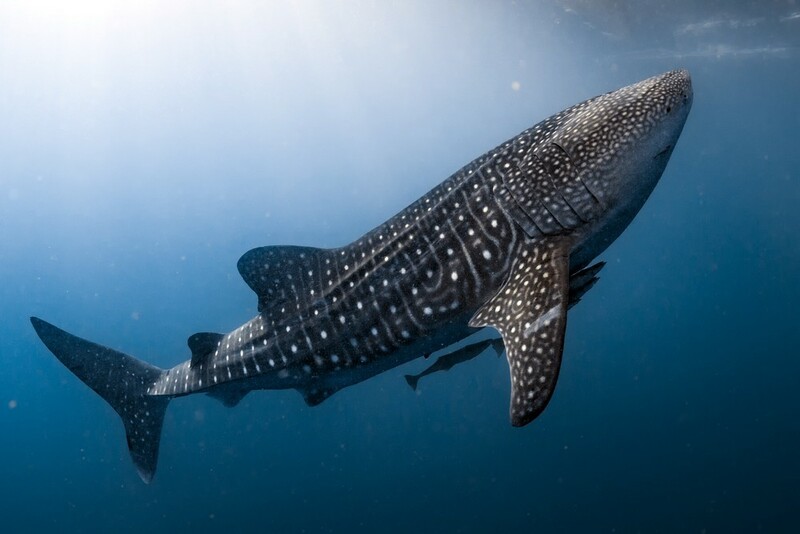 A whale shark has been spotted swimming off the coast of Botubarani village, Bone Bolango regency, Gorontalo province, since last week. Locals have been trying to keep the majestic animal nearby by scattering shrimp heads for it to eat. “The whale shark was first spotted on Thursday. On Saturday, there were two of them,” said Arfan Napu, a local resident, as quoted by Tempo.co. He said several visitors from Jakarta had stopped by to see the whale shark. The seasonal phenomenon has given locals an additional source of income, as they normally rent out boats for visitors wanting to go whale shark-watching. “To rent a boat to see the whale sharks, we still charge the same fee of Rp 15,000 (US$1.06) per-person. To feed the whale shark, it’s Rp 10,000 per package of shrimp heads,” said Arfan. A visitor from Jakarta, Devyani Anggraini said she was happy to see a whale shark up close.